The Los Angeles National Drive Electric Week event, on September 16, will feature a display of the next-generation Nissan LEAF at one of its first public appearances. Test drives are scheduled to include (subject to change, with more planned), the Chrysler Pacifica, Bluecar Phase 3 model, Chevrolet Bolt and Volt, VW 2017 e-Golf and Tesla Model X and Model S (ride-alongs only for the Tesla vehicles). The first 600 test drivers also get free coupons for food from participating food trucks. If you have an EV and would like to display it in the EV Tailgate Community, visit www.ndewla.org. Volunteers are welcome. Saturday, September 16, 2017, 10 a.m. to 3 p.m.
Where I live (Pittsburgh, PA) there was a brief flurry of EV activity from 2013 to 2016 where one might spot a LEAF or iMiEV or Tesla once in a week or so, but with lower gasoline prices and most of those leased cars returned and not replaced with another EV, there are pretty much zero EV's in western PA outside of my Smart ED - and its lease will end in May 2018. 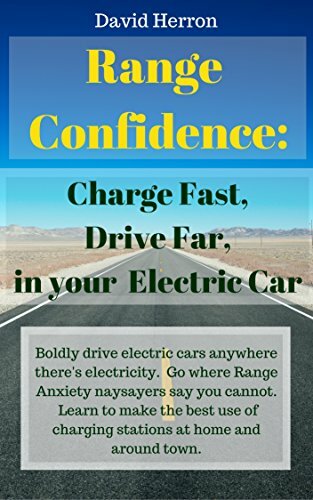 Plug In America https://pluginamerica.org/ is a good resource for EV advocacy. Yup, Just signed up. Wife will be out of town so I'll actually be able to take the Smart ED there. I'd also like to take the scooter there too if I can find a helper to drive the Smart to it. Cool. Hope you enjoy it!